We can’t wait for all the stylish stars to step on the red carpet tonight at the 2017 Africa Magic Viewers’ Choice Awards. We are so sure they are going to bring IT! 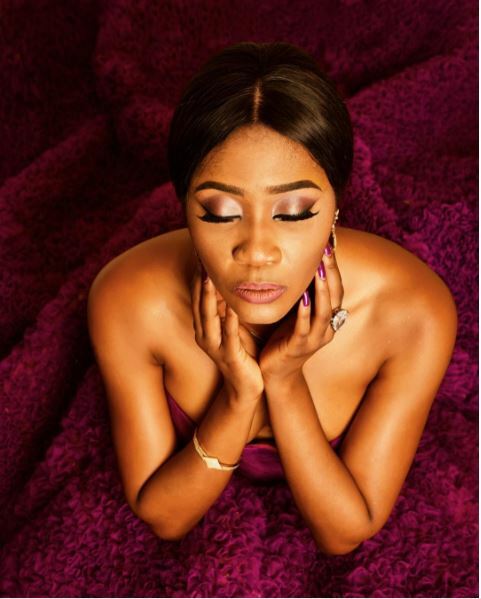 Toni Tones hasn’t stepped on the red carpet yet but we got a sneak peek at her look via her social media page and according to her, her outfit by Yemi Shoyemi was handmade and it took four whole months to put it together.